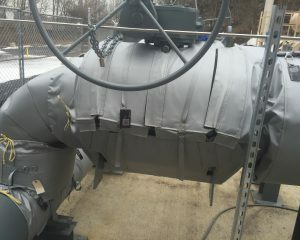 Insulating Ammonia Refrigeration Systems can save a tremendous amount of Energy Dollars! Please use extreme caution when working on or around an Ammonia system. Ammonia is both caustic and hazardous in its concentrated form. It is classified as an extremely hazardous substance in the United States. Ammonia is a compound of nitrogen and hydrogen, or NH₃. Because of Ammonia’s vaporization properties, it is frequently used as a refrigerant. NH3 boils at −33.34 °C (−28.012 °F) at a pressure of one atmosphere, Ammonia was commonly used before Freons (chlorofluorocarbons) became popular. 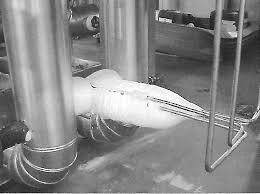 The operating temperature of these ammonia systems varies between -50°F and 50°F. Refrigeration implies removing heat from a low-temperature reservoir and transferring it to a higher temperature reservoir. To remove heat from air or water at the application requires a significant amount of energy. That energy can be in the form of steam or electricity. 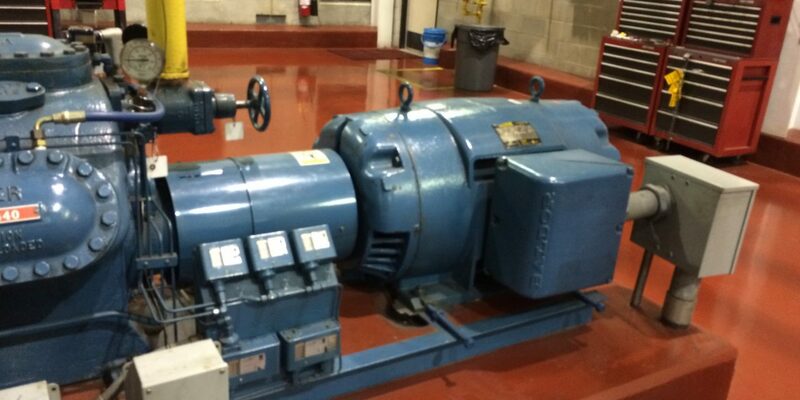 Regardless, heat gain in the piping system wastes thousands of dollars per year. 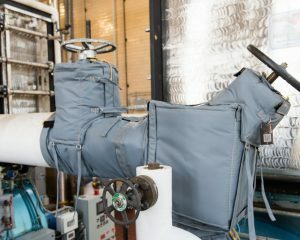 Many times visiting hospitals, refineries, chemical plants or large refrigeration facilities we see components in a piping system that look like a huge block of ice! What causes the ice? As the ambient air flows across the cold component the specific volume of the air decreases. As the specific volume of air decreases humidity (moisture) in the air as a gas must now change phase to a liquid. The “water” on the refrigerant piping system is now subjected to temperatures below 32°F, ice forms, and forms and forms and forms until we have a huge block of ice! How can this waste be significantly reduced? Proper insulation installation. New insulations have replaced most fiberglass installations. Aerogel insulation is the most thermally efficient solid insulation available. One product, Cryogel-Z manufactured by Aspen Aerogels, is our first choice for any cold application. 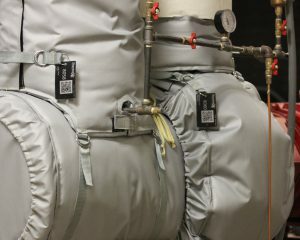 A very important characteristic of a good insulation system for cold applications is the “Vapor Barrier.” It resists the ingress of water vapor toward a cold operating system. 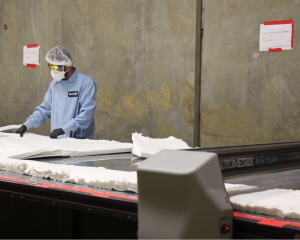 Cryogel-Z has an integral vapor barrier. 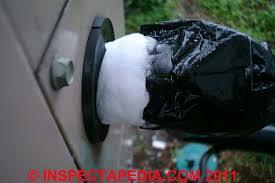 For every layer of Cryogel-Z insulation a vapor barrier is present. Valves, piping that must be inspected for CUI (Corrosion Under Insulation) and other components must be insulated properly. Insulation thickness, insulation type and other factors need to be considered. Contact the experts at Thermax Jackets and let them determine the appropriate insulation system for you!